Digital recording software for public meetings of all types. Gov Recorder 9 makes it easy to record public government meetings for capturing a permanent archive of the activities and to share with participants. 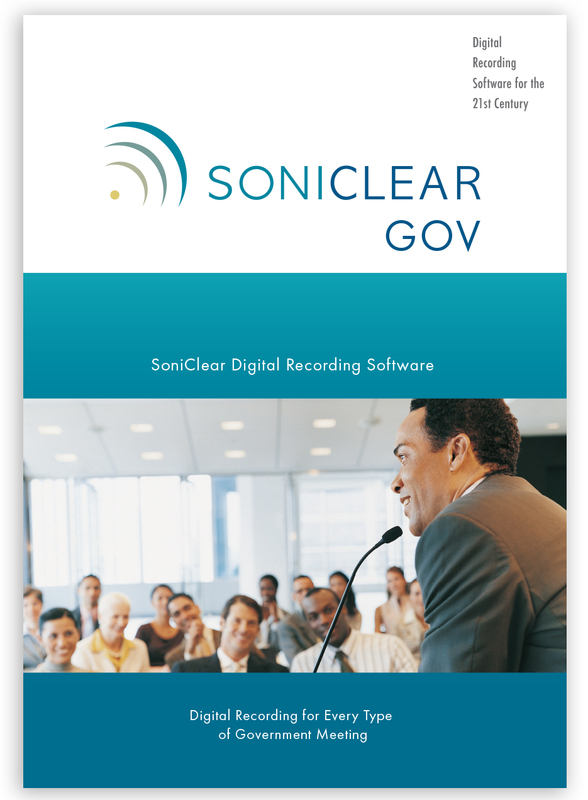 Gov Recorder 9 includes the Gov Transcriber 9 software. This provides automatic transcription of recordings to text using the SoniClear Cloud transcription service. Gov Recorder 9 makes it easy to document board meetings using high-quality digital recording. Use the recordings to produce meeting minutes and provide the audio to meeting participants. Annotated audio recordings can be distributed on CD, over a local area network, and on a website. Use Gov Recorder 9 to record conferences to enhance communication, and leverage the value of information from the conference. Publish recordings for participants on CD or disk drive. Optionally make meetings available over the Internet as an on-demand stream or downloadable file. Planning meetings generate a great deal of information for the future operation of the organization. Gov Recorder 9 can be used to capture detailed discussions, eliminating problems resulting from incomplete or incorrect notes. This valuable knowledge is stored in digital form that is accurate and accessible, improving productivity and insuring accountability. Gov Recorder 9 digitally records to the computer disk drive using industry-standard MP3 or WAV audio files. Notes entered during the meeting make it easy to locate sections requiring summarization or review. VoiceBoost digital signal processing enhances the sound to ensure maximum clarity and intelligibility. Meeting recordings can be archived to the local area network, CD, and flash drives. Option to webcast the meeting using on-demand streaming audio or video. Meeting Recorder 9 offers some of the features of Gov Recorder 9, for board secretaries and clerks who record meetings for their own work, with minimal need for sharing.